Is there a more natural alternative to over-the-counter cough and cold remedies? Here’s why raw honey should be the first thing you reach for, and how to take it for best effect, in this guide by Balqees’ founder Riath aka ‘the honey explorer’. As the weather changes and the cough and cold season kicks in there is even more reason to eat and sleep well and dose up on vitamins to boost your immune system. New guidelines came out this year from the National Institute for Health and Care Excellence (NICE) and Public Health England (PHE) saying there is evidence that honey can help improve cough symptoms. As reported in the UK's Guardian newspaper, data shows that honey helps relieve irritation in the mouth or throat by forming a protective film, and soothes coughs caused by upper respiratory tract infections. So, to mark the good news, I have compiled a list of ingredients that compliment raw honey in combatting colds and coughs many of which were introduced to me by my mother when I was growing up, inspired by our Middle Eastern roots. I attack any cold symptoms with loads of freshly squeezed lemon juice for a big dose of vitamin C and potassium, shave and add generous amounts of ginger to attack the bacteria and inflammation and then lashings of beautiful raw honey providing heaps of antioxidants to help soothe a sore throat. The Arabic for garlic is thum or thoom and is part of the onion family. Allicin is the compound found in garlic when crushed or chewed which helps the immune system fight colds. Make your own natural cough syrup using garlic, ginger, cinnamon sticks, lemon juice and raw honey. Warm it up in a pan, add the raw honey when cool and store in the refrigerator and you’ve got yourself a powerful punch to sip on through the day and knock the bacteria out of your system. Interestingly a clove of garlic has traditionally been used in the UAE to relieve the pain of a bee sting! Instead of buying over the counter cough sweets that are filled with sugar, make your own natural ones at home. Coconut oil has high levels of lauric acid which the body converts into a compound that has strong antimicrobial properties. This can help boost the immune system and ward off illness with raw honey and lemon making the list again combined with cinnamon to help clear inflammation. You will need 100g (3.5oz) raw honey, 100ml (3.38 fl.oz) of unrefined coconut oil and a pinch of cinnamon. To make: Whisk the coconut oil and add the ingredients together until well combined. Divide the mixture into sections of an ice cube tray. Freeze for about 20 minutes and store in a jar in the refrigerator. Dissolve one on the tongue to relieve an itchy or sore throat as required. Chamomile, ginger and turmeric teas are often recommended with raw honey to aid a cough or cold. These are good but why not try rooibos herbal tea from South Africa for something different. Brew and leave to cool a little, then combine with one or two teaspoons of raw honey to taste, with a tablespoon of unfiltered apple cider vinegar. This combination is full of antioxidants and antibacterial benefits, and it gives a real boost to your immune system. Studies show that chewing honeycomb helps clear the bronchial airways and eases both viral and bacterial conditions like colds, bronchitis, and even pneumonia. Many beekeepers I have spoken to swear by it, as the chew it regularly and rarely fall ill. Back in 1958, D.C Jarvis, author of the best-selling book 'Folk Medicine: A Vermont Doctor's Guide to Good Health, wrote in the chapter on honey: "Honeycomb is excellent for treating certain disturbances of the breathing tract. The value of chewing honeycomb applies especially to the lining of the entire breathing tract. In addition to chewing the comb, eating honey each day is also part of the treatment." Just remember to clean your teeth well after chewing. Black seeds have long been thought to have healing properties, especially across the Islamic world. Known scientifically as nigella sativa, the seeds are stored whole and crushed before mixing with honey and hot water for drinking. The mixture is thought to help cure a cold and associated aches and pains and other symptoms like a cough or a sore throat. Some people grind the seeds and wrap the powder in a tissue to inhale and relieve sinus problems. Try our Raw Honey and Black Seed fusion to keep the bugs at bay. Turmeric in Arabic is Kurkum curcuma longa and is part of the ginger family. A turmeric and raw honey concoction works well as a cold remedy. It acts as an expectorant and can ease coughing, sneezing, and a runny nose. It even has antiviral properties. Mix 1 tablespoon of powdered turmeric and 141g (5 oz) of honey to make a cold remedy. Or make golden turmeric milk by boiling 1 teaspoon of turmeric powder, a grind of black pepper and a cinnamon stick with 1 cup of milk. Strain, leave to cool until warm, then stir in 2 teaspoons of raw honey. Drink this delicious concoction twice a day for a golden immune boost. Do you have any traditional raw honey remedies that you grew up with? 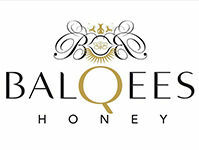 Let us know on Twitter or Instagram - @balqeesrawhoney or Balqees honey on Facebook. US National Library of MedicineNational Institutes of Health. J Altern Complement Med. 2010 Jul; 16 (7):787-93. doi: 10.1089/acm.2009.0311. A comparison of the effect of honey, dextromethorphan, and diphenhydramine on nightly cough and sleep quality in children and their parents. Shadkam MN, Mozaffari-Khosravi H, Mozayan MR.